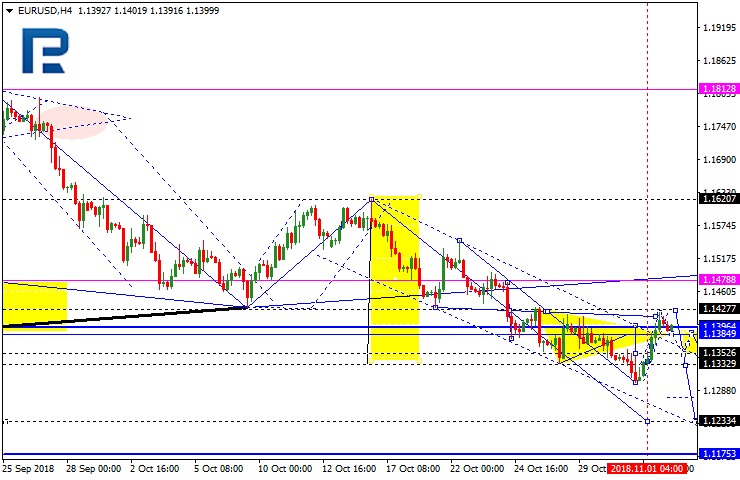 EURUSD has completed the ascending impulse and right now consolidating at its top. Today, the pair may start a new descending structure towards 1.1352 and then grow to reach 1.1385. After that, the instrument may start another decline with the short-term target at 1.1290. 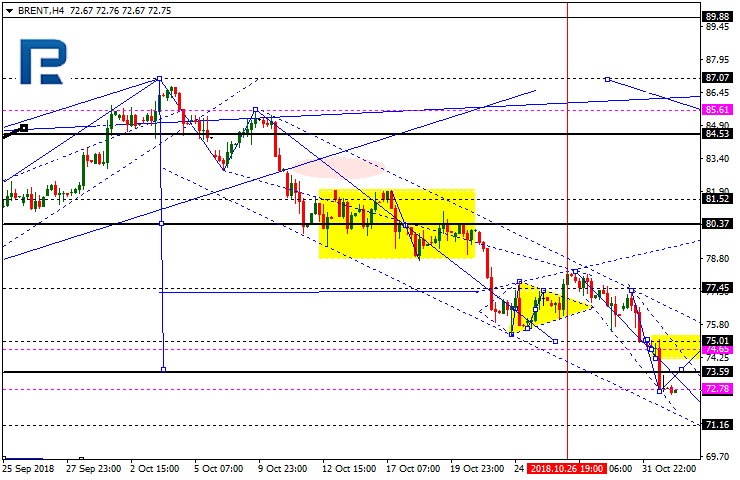 However, the price may choose an alternative scenario and continue the correction towards 1.1478. Brent has almost reached the target of the first descending wave. Possibly, today the price may grow towards 74.65 and then fall to reach 71.20, thus forming a new consolidation range. 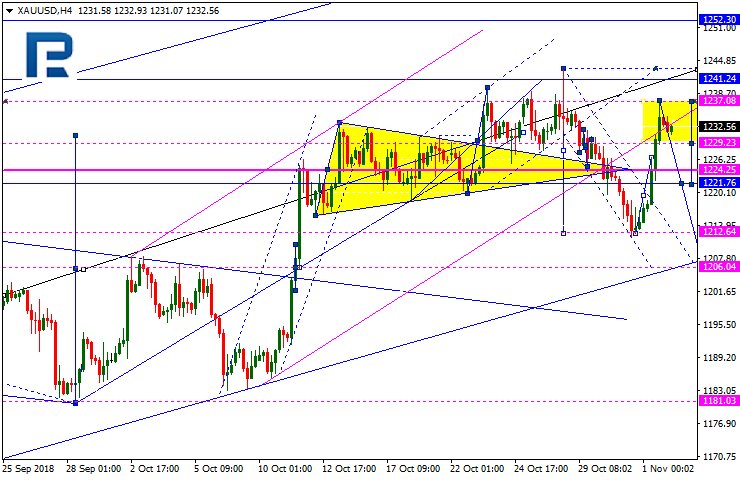 Later, the market may break it to the upside and start a new correction with the target at 80.37.